DMF Dental Laboratory – Everyday should begin with a smile! Every Day Should Begin With a Smile! At DMF Dental Laboratory, our Mission Statement is clear. We are a team of dental laboratory professionals dedicated to providing the highest level of service and safe dental products to the dental offices we serve. We pride ourselves on being a leader in efficiency and consistency. But what does this mean for you? Fast and consistent restoration with a smile. Free Local Deliver and Free Shipping within the US. 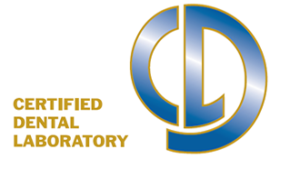 DMF Dental Laboratory is an NADL certified dental laboratory serving dentists nationwide for over 40 years. With that said, we are proud to be with only 1% of all laboratories have this prestigious designation. Our products are made precisely as directed, and we are available to consult on specific cases. At DMF, we pride ourselves by offering high-quality products and dependable service. Our knowledgeable and experienced technicians are skilled with up-to-date technological equipment. DMF Dental uses precise CAD/CAM technology to allow for superior fit and function while allowing us to offer new exciting products to our clients. We are proud to use products made in the USA. Call us for more information.